Farai and the Forest Dawn (FFD) frontman Farai Muvuti has temporarily swapped the mic and sounds of the acoustic guitar and partnered up with his brother to launch a start-up network recruitment company in the UK. 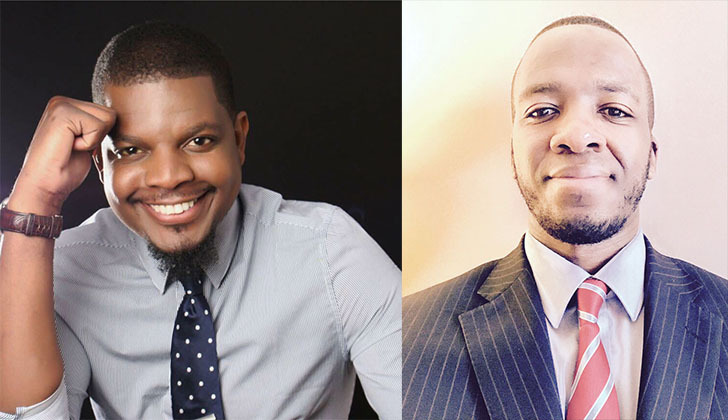 Founded earlier this year, TimeFlex is the brainchild of Farai and his brother Gordon Muvuti, and will focus on recruiting outstanding talent in various industries, particularly in the healthcare industry, throughout the UK, including nurses and midwives for Australia, Dubai and Saudi Arabia. The new recruitment firm plans to take an innovative approach to enlisting potential candidates, looking at more than just the individuals CV. "We specialise in volume recruitment by taking time to understand exactly what you are looking for and bring you and your potential employer the quality that you need," said Co-founder and Director Gordon Muvuti. "It is no secret that many industries have been struggling to recruit staff for a number of years now and we believe there is a gap in the market for truly innovative recruitment in all sectors that include corporate, finance and healthcare. I have worked within the health and social care industry for over 20 years and in this time seen massive changes but, I believe that using market-leading resources and networking methods, we will be able to deliver better value to our clients, whilst ensuring remarkable service," Gordon added. Timeflex will be more streamlined and will save administrative time and costs. It is set to bring simplicity, effectiveness and flexibility to recruitment the directors have said. The company will work with a variety of niche firms listed in the FTSE 100. Gordon, who has specialised in the healthcare industry for two decades and led large multi-site clinical operations, delivering a mixture of quick turnaround work, medium-term capacity building and long-term complex transformational changes, is a recognisable figure within the healthcare sector. Outside of music, Farai Muvuti has extensive experience in recruitment, having worked with a large number of private practices as a recruiter for several years. Farai said: "In a competitive market where every provider is fishing from the same pool, Timeflex adds an additional and effective assertiveness to finding staff and bring them to you. We focus on well-established networks to bring staff to recruitment events and recruitment campaigns," he added. The team are currently looking to bring on board Network Recruiters to assist with recruiting and placing the right people with the right company and have encouraged those looking to earn extra money and for a new challenge to apply. "In the social media based world we live in now, you can turn your daily conversations into easy money by registering with us a network recruiter," said Farai. "Network Recruitment or 'social' marketing is not a new thing. Many successful organisations use this model to market and sell products and grow their member and customer base. We all use recommendations on a daily basis, just without the rewards but now, Timeflex is offering that with an added benefit of earning something simply by recommending someone," added Muvuti. Timeflex was established with the aim of creating a forward thinking business that not only enables someone to find the job that best suits their qualifications but that benefits the recruiters who recommend potential employees. "This is an opportunity to take your career in the direction you want and build your own business and we would love as many people to join us in changing the way the world recruits," Farai said.